Susannah teaches workshops and classes in her studio in the beautiful Blue Ridge Mountains outside Asheville, North Carolina. Susannah offers both seasonal intensives and ongoing studio practicums. April 27th and 28th, 2019 10am-5pm – This weekend workshop will focus on sculpting the hands and feet with anatomical accuracy. 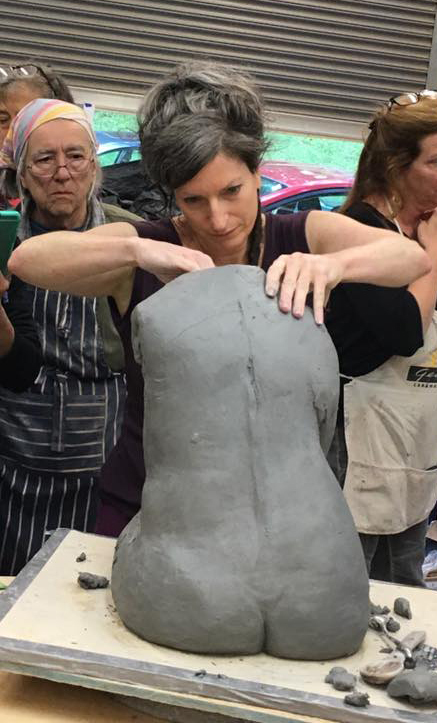 May 27th-June 7th, 2019 – This intensive workshop will cover hand-building techniques for creating figurative sculptural works that bring the body to life! Contact Susannah for inquiries and workshop information. Copyright © 2018 Suzanna Zucker | Developed and Managed by Riz-Om Network.